I totally understand the feeling this photo evokes. 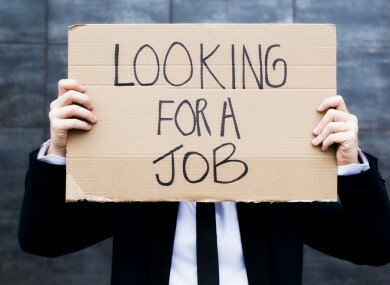 Before I become 'tentmaker' missionary, I don't have a clue regarding job-hunting. You see, in the denomination I come from, Bible college graduates don't look for a job or a church to serve; they are hired and employed immediately after graduation--job guaranteed with free housing (parsonage), to say in a secular term. But to use the spiritual lingo, they are called not simply employed. What a privilege these graduates has; not for the employment per se, but for the opportunity to serve and lead people, young and inexperienced as they are. I have a Bachelor of Theology degree (Bth), and a Master of Divinity (M.Div.) from a Philippine-government recognized institution. I have many years of leadership and teaching experiences. But my credentials and experience are largely in the religious industry. Looking for an employment in a secular environment would be challenging; not because I lack experience and education, but because hiring managers in a secular environment cannot identify with my educational background. While I have not given out my CV yet, I had already convinced myself that my educational background might be an obstacle.